`There will be other, bigger biographies, but none more evocative than this sampler precisely stitched in literary petit-point' The Times Angela Carter was one of the most vivid voices of the twentieth century. When she died in 1992 at the age of fifty-one, she had published fifteen books of fiction and essays; outrage at her omission from any Booker Prize shortlists led to the foundation of the Orange Prize. Angela Carter sent her friend Susannah Clapp postcards from all over the world, missives which form a paper trail through her life. The pictures she chose were sometimes domestic, sometimes flights of fantasy and surrealism. The messages were always pungent. 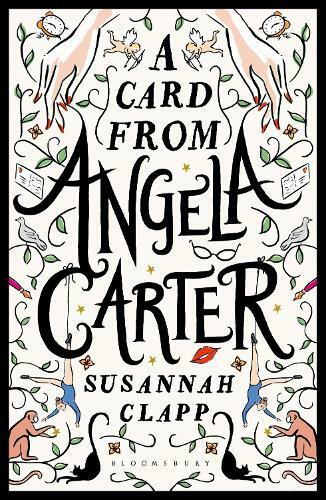 Here, Susannah Clapp uses postcards - the emails of the twentieth century - to travel through Angela Carter's life; and to evoke her anarchic intelligence, fierce politics, rich language and ribaldry, and the great swoops of her imagination.